OMG!! You've got a new puppy (or are thinking about one)....What next? Congratulations! And welcome to puppy hood parenting. Ok, maybe you haven’t actually got your puppy yet. If not there are a few things that you should consider before embarking on the fun road of puppy raising. I would not recommend buying a puppy from a pet shop. Many pups sold in pet shops are from puppy mill parents (where the parent dogs are kept solely for breeding purposes and usually kept in poor conditions). Puppy mill parents are not chosen for temperament or health – merely for their ability to produce puppies. If you are looking for a pure bred dog you should contact a registered breeder. You can find a list of breeders for your particular breed by using the dogz online website. When researching your breeder ask some questions. What planning went into this litter? How many litters has this dog had? How frequently? Do they follow the rules of 7? For more information on these see below. Are you able to visit the home/area in which the puppy is kept? Are you able to meet the pups prior to pick up? Are you able to meet the parents? How many pups are in the litter? Are there any known problems within either the parents or puppies? Does the breeder provide any guarantees or insurance? What vaccinations will the puppies have? When is the puppy due next? What worming has the puppy had and when? What food is the puppy eating? How often? Will your breeder provide you & your family ongoing support throughout your pup’s life. What steps does your breeder take to not introduce disease to the litter of pups. This should include if they allow visitors to the property etc. Canine parvovirus can remain active in an environment for 12 months. This disease does not require dog to dog transmission, and can easily be brought into the puppies environment by walking on contaminated ground, and then bringing the disease on the soles of your shoes into the environment. Being a “registered breeder” does not guarantee that your breeder is ethical, responsible or has good animal welfare standards. It is your responsibility to research both your chosen breed to ensure that your lifestyle, yard, housing, economic status, and family will fit well with your pup. Try the pedigree breed selector available here to see if your life style suits your chosen breed. Likewise it is your responsibility when buy a puppy from a breeder to do your research to ensure you find a quality breeder. If you aren’t looking for a pure bred dog, why not consider getting your puppy or dog from an animal shelter. Most shelters will have online databases so that you can check available pups. What is the best age to get your puppy? Puppies re-homed too soon or late can have developmental difficulties. Pups that leave their siblings or parents too early often have poor social skills and can be fearful. Likewise an older pup obtained after 12 weeks, may have had limited experience and missed the critical period for socialization. These pups can also have poor social skills and be fearful of new things in life. The ideal age to pick up your puppy is between 8 and 10 weeks. What do you need before bringing puppy home? I highly recommend crate training. This is not only a management tool, but offers your puppy a safe and secure environment. Crating can prevent unwanted chewing and destruction elsewhere in the house. It also will help you with toilet training providing the crate is just the right size. A correct sized crate should allow the puppy to stand up, turn around and lay down flat on their side. Any smaller and they may find it uncomfortable, and larger, and you may find your puppy sleeps at one end and toilets at the other. This doesn’t mean you have to buy several crates to suit your pup's growth. Many crates these days come with a crate divider – you can use this to adjust the size of the area available to your pup. Your puppy should only be crated for extended periods of time, if you are available to take it out to toilet. Alternatively, you could use a puppy x-pen. These are pens that have a bed in one area (I would still use a crate), and an area to toilet in another section. Your pen and crate should also provide your pup with a water source. I recommend non-spill bowls or bowls that clip to the side of the crate or pen – this will prevent soggy beds. In your crate or pen, your puppy should have a comfortable warm bed, a couple of toys (swap these around every couple of days so that they don’t become boring), a chew toy or food dispensing toy such as a kong. Feeding your puppy – please choose a balanced premium diet. My particular favorite is Black Hawk Puppy – this is a premium Australian made food. Before starting your puppy on a new diet, first find out and have some of what the breeder/shelter was feeding your puppy. Transition them over a week or so to the diet you have chosen. Remember any dietary change (even when using a premium food) can cause gastro intestinal upsets including vomiting and diarrhoea. If your puppy develops this, please contact your veterinarian and be guided by their advice. Puppies are also quite capable of chewing bones such as chicken necks, chicken wings and lamb ribs. If you are feeding any of these to your puppy, please supervise. 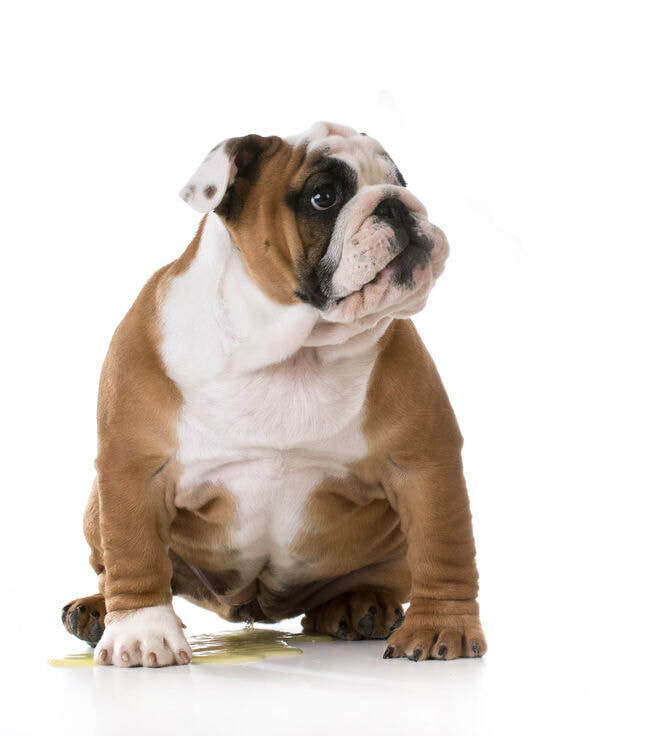 Piggy puppies can scoff their food, and pose a choking risk to themselves. Helping puppy to settle in. Your pups first night at home will probably be difficult for all involved. The puppy has been removed from what he/she knows as normal, and likely from his/her sibling company. Use ADAPTIL (Dog Appeasing Pheromone) to help your puppy relax. I use the collars as they are with the dog at all times, don’t need to be replenished every couple of hours (like the spray does), and won’t be affected by drafts etc in the home. Play classical music as this has been scientifically proven to reduce stress in dogs. Through a dogs ear is a CD or album available for download that can be used. Make sure the puppy has access to his/her regular food (what was fed at the breeder, shelter or pet shop). Use a kong to promote licking and chewing – these will both reduce stress. I set my pups up close by during the night (crated beside my bed). That way I can hear them if they start to fuss or become restless and take them outside to toilet. 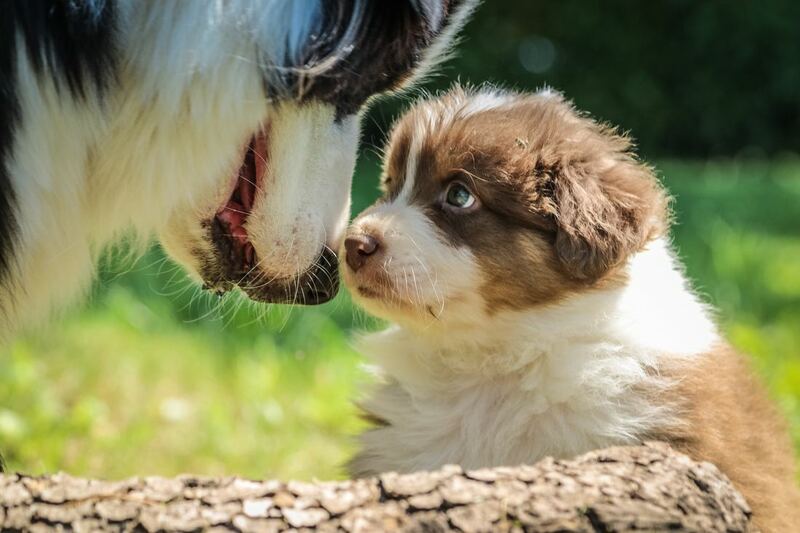 Meeting the new family is a stressful experience for your puppy. There are new people, new smells and possibly family pets. Have introductions managed carefully. Use a pen or crate for your puppy, and allow your current family pets (one at a time) to investigate. Reward each (your puppy and current pet) for good reactions. If either becomes stressed end the session immediately and try again later. 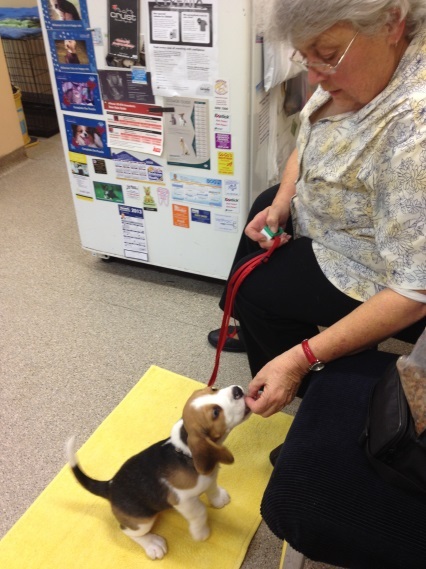 Socialisation isn’t just about meeting new dogs. This also includes the introduction of new people (adults and children, men and women), other animals (family cat, pet chooks, the guinea pig), and new objects (mowers, vacuum, mop, hair dryer, bikes and skateboards etc) and experiences (collar and lead, bathing, grooming, vet trips, car rides). These things need to be done in a controlled manner, and your pup should never be forced into an interaction. Always pair the new thing with something your pup loves. Most pups love BBQ chicken. 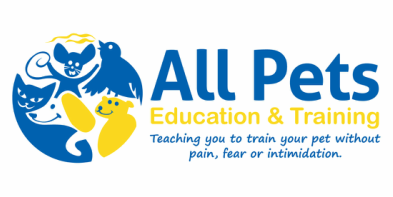 Ideally your puppy should meet or have met and experience or experienced as many new people, pets and experiences as possible prior to the close of the critical period of socialsation (approx. 12 weeks). The ideal number of people is 100! That’s a lot of people. When meeting new people and pets, your puppy is unlikely to be fully protected by vaccination prior to 12 weeks, and sometimes up to 16 weeks depending on vaccination protocol and vaccines used. This however doesn't mean that your pup cannot meet new people and pets and have new experiences. Small puppies can be carried and can still get the benefit of meeting new people and animals, larger pups can be carried if you have the muscles, or why not invest in a pram or similar. Puppies and dogs go through “fear periods”. 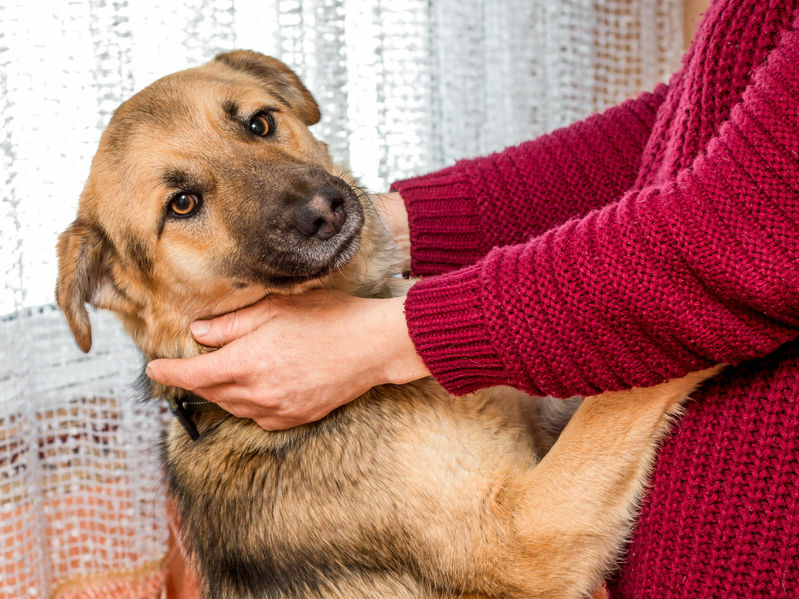 A fear period is often noticed by canine owners as a period of sudden onset in which your pup becomes afraid of people, pets, objects and even places – these are often things they have been previously comfortable with. There are up to 4 recognised fear periods. The first is usually between the ages of 8-10 weeks, the second between 5-7 months, the third as they enter social maturity at around 10-12 months, and the final fear period that varies from dog to dog and occurs between the age of 18 months and 2 years. Owning a dog is expensive. There are many preventative medications that your pet should be on. You also need to be prepared for the unexpected. SO consider: Can you really afford to own a puppy? Puppies should be vaccinated against the following diseases. Canine Parvovirus – This disease causes severe gastrointestinal bleeding. This is highly contagious, survives in the environment for 12 months, and often fatal. Dogs develop lethargy, vomiting and then bloody diarrhoea. Parvovirus affected dogs have a distinctive odor that most veterinary staff will never forget. Canine Distemper – This disease is now very rare due to an effective vaccination program. Canine distemper impacts several body systems, including the gastrointestinal and respiratory tracts and the spinal cord and brain, with common symptoms that include high fever, eye inflammation and eye/nose discharge, laboured breathing and coughing, vomiting and diarrhoea, loss of appetite and lethargy, and hardening of nose and footpads. Canine Hepatitis – This virus is spread in the faeces, urine, blood, saliva and nasal discharge of infected dogs. Symptoms include fever, depression, loss of appetite, coughing, and a tender abdomen. Corneal Oedema and signs of liver disease, such as jaundice, vomiting, and hepatic encephalopathy may also occur. Severe cases will develop bleeding disorders. Canine Cough – composing of Parainfluenza and Bordatella The technical name for this diagnosis is infectious canine tracheobronchitis. Canine cough, is a very highly contagious respiratory disease among dogs. Young puppies can suffer the most severe complications that can result from this disease, since they have an underdeveloped immune system that is still strengthening. Signs of this disease include hacking cough (sounds as if they have something stuck in throat), retching, nasal discharge. Severe cases can develop pneumonia, inappetence, fever, lethargy and some will result in death. These vaccinations are usually carried out at designated times. These courses are aimed at maximizing your pups immunity to the disease. There are a couple of protocols that may be in use. Some vaccinations will allow an early finish at 12 weeks. This allows your puppy to get out and about to experience the world sooner than the traditional vaccination schedule. Talk with your vet regarding these further. Your puppy should be on heartworm prevention from 8 weeks of age. There are many products available with the most popular being monthly chews/tablets or spot ons. Puppies should be wormed every 2 weeks until they are 12 weeks, and then monthly until 6 months. From 6 months your puppy can be wormed every 3 months unless in a high risk area or at risk of the hydatid tapeworm. A recommended wormer is either milbemax (this also covers heartworm) or drontal. Remember to weigh your puppy before each dose and make sure you give the correct dose of worming. Fleas and Ticks are problems for all pets in South East Queensland. Fleas are around all the time, Ticks generally have a season between July and January. Talk to your vet about the best treatment for your puppy – remember your pup will grow, so if you buy a multiple pack, your pup may outgrow the dose range before you finish the pack. Having a puppy is a lifelong commitment. Unfortunately many pups or dogs will experience illness or injury throughout their (hopefully long) lifetime. These trips to the vet can be costly. Can you afford unexpected bills for your puppy? Pet Insurance is highly recommended. In Australia there are many different companies that offer pet insurance. Refer to the Australian Veterinary Association website for more information. You will be able to find a link to all pet insurance products available within Australia. Puppies have a natural tendency to eliminate in specific locations by the age of 9 weeks, so housetraining a newly acquired puppy is generally quite easy. Puppies need to be supervised at all times. This either requires that you actually watch them, or the puppy should be confined. Excitement and activity will trigger the need to toilet, so confining the puppy or dog and therefore keeping them still can be an important management tool. Signs such as sniffing, whining, panting, circling and sudden disappearance from your visual area are all indications that your pup/dog may need to toilet. Surfaces used for toileting areas need to be considered carefully. Pups can learn a surface preference usually between the ages of 9 and 24 weeks. So if you wish your pup to toilet outside on grass as an adult, it is best to train on grass as a puppy. Many people that toilet train using puppy pads, may find that as an adult the dog will continue to toilet on any puppy pad like surface (including your rugs). Never punish your puppy for toilet accidents. These pups that have been punished for toileting can even learn to eat their own poop as a way of getting rid of the evidence. So before you punish, think about it - do you want to have your dog lick you with poopy breath? If you are concerned that your puppy or dog is toileting in large amounts, or small frequent amounts, straining, urinating during sleep, the urine has changed in colour or odour, please make a time to visit your vet. Take a fresh urine sample (from your dog J) with you. When your pup wakes up, take him/her immediately outside to their toilet area. Either carry them or walk them out, but have them on lead (this is important). When you are outside, do not allow this time to turn into a stroll around. Instead stand still and keep quiet until your pup has both peed and pooped. Because you have put him/her on lead he/she won’t be able to run around, chase the leaf, pounce on the bug or generally become distracted. Once you are able to recognize the signals your pup displays prior to toileting, you will be able to add a cue. I use “hurry up”, others use “potty”, “toilet” etc. When adding your cue word, only say the word once. As soon as your pup has finished toileting, praise and reward. You can also release him/her from the leash at this time, to offer a life reward. Once he/she has toileted, he/she can come inside (if they want – if they don’t want to – taking them inside may be considered a punishment by your pup), they could also have a treat, long lasting chew or play session or even go for a walk. If he/she hasn’t peed or pooped after 10 minutes, take him/her directly back to their confinement area and repeat in 15 minutes. Repeat this protocol until your pup has successfully toileted. Using a product with an ammonia base such as bleach and standard cleaning products will actually attract your pup back to the site of the accident. use an enzymatic cleaner, this will act to break down the ammonia within the urine itself, and in doing so will help to reduce the odour which attracts the pup back to the same spot. There are many commercial products, made just for this purpose called appropriate names such as “Urine Off” or “Piss Off”. Dogs jump up at you as a greeting behaviour. This is normal dog behaviour, however is not desirable in the human world. Teach your puppy what you would prefer it to do and rewarding for this behaviour instead. We usually try and teach a behaviour that is incompatible with jumping. For example a sit or down position should be taught. What if the puppy is jumping up on you? Ignore the pup, do not make eye contact, don’t push down or yell at your pup. Instead, ignore them and wait for them to hop down or ask them for a sit and reward for this behaviour instead. You also need to reinforce these behaviours in all new environments, and be prepared to ask people to stop and so not allow the jumping behaviour to occur. This is a normal puppy exploratory behaviour, and yes, it can cause problems. Puppies under 6 months of age will also be almost constantly teething. Teething is a painful process, and they can relieve some of this discomfort by chewing – even if it is your favourite shoe. Keep tempting chew things out of their reach – baby gates to restrict access or removing the objects you don’t want chewed from the pups reach. Shoes belong in your cupboard, towels in cupboards, remove your pot plants to an inaccessible area or yard, bathroom and toilet doors should be kept shut etc. If you have a new puppy and are likely to forget – put signs around the house as gentle reminders. Keep appropriate toys and play things available at all times. Tug toys, balls, stuffed toys and rubber toys. Rotate your toys at least once per week – that way they are more exciting for your puppy. Use kong toys or other food dispensing toys to work your puppy and have them chew on something appropriate. Until your pup is considered destruction-free, supervise him/her at all times. Just as you should for any young child. My Puppy is already mouthing me, what now? Often mouthing is used as an attention getter. Mostly because it is incredibly effective. So first things first. Don’t scream, yell, yip like a puppy – this just turns you into a walking, talking, squeaky toy. Redirect your puppy’s attention onto something appropriate to chew on (not you). Give him/her a long lasting chew, kong or other appropriate toy. Try to limit your interaction with your puppy when he/she is aroused or overly excited – this is when the majority of mouthing will occur. There are a number of great sources of information for you and your pet. Much of this is available for free! Dr Ian Dunbar, also has two great books that you can download for free from www.dogstardaily.com They are “Before you get your puppy” and “After you get your puppy”. Weston, D. and Weston, R., 1992. Dog problems. 1st ed. South Yarra, Vic. : Hyland House. Whitehead, S., Adolescent dog survival guide. Washington. Dogwise Publishing, 2010. Yin, S., 2011. Perfect puppy in seven days. 1st ed. Davis, CA: CattleDog Pub.